The Arts Energy VNTCU2500/T is a tagged High Temperature C size rechargeable NiCd cell. An untagged version of this cell is available if needed, simply see the related products section below. 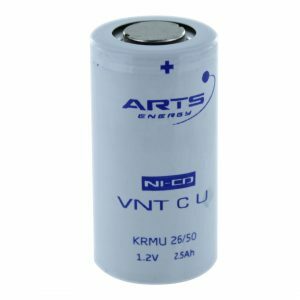 These batteries benefit from the latest innovation on Arts Energy’s PNE (plastic bonded nickel electrode) technology, and are specifically designed to accept a permanent charge. Well suited to high temperature environments such as Emergency Lighting or Memory Back-Up, the VNTCU2500/T offers at least a 4 year life span at an average temperature up to +50°C in accordance to the IEC 61951-1 standard. 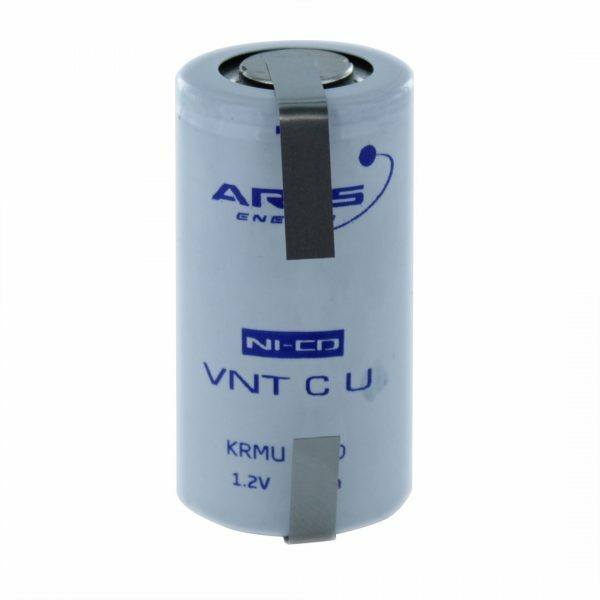 We have also been known to use these in the construction of Custom Made Battery Packs. If you do intend to build these into packs yourself, you should use this version and not the untagged version.